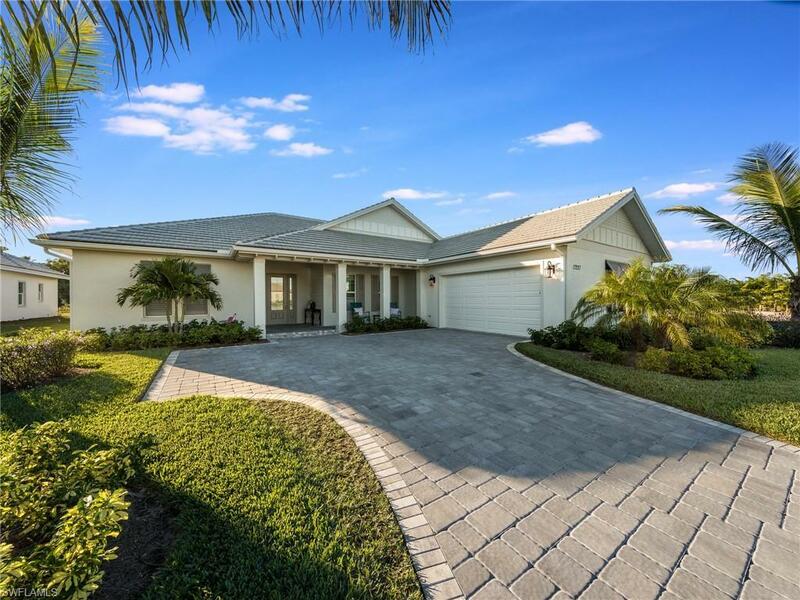 17227 Hidden Estates Cir, Fort Myers, FL.| MLS# 218075830 | Southwest Florida Residential Real Estate for Sale. PRICE IMPROVED TO SELL NOW! Nearly brand new open concept Marathon floor plan has been significantly upgraded since completion by the high quality builder, Stock Development. Enjoy the gorgeous split bedroom layout and huge undercover outdoor space for entertaining. The moment you enter the home you'll appreciate the numerous upgrades (owner spent over $80K)! Professional interior designer finishes include custom shiplap walls, complete fan and light fixture upgrades, sophisticated paint, built-in closets and plantation shutters throughout entire home. VERY unique oversized lot on ten mile canal with a massive amount of space for activities and all maintained by the association ($125, 000 lot premium - cannot have a dock, however you may create path to launch kayak/paddleboards/etc). Custom outdoor kitchen with top of the line gas grill, fridge and hood. Integrated Control4 smart home system with built-in ceiling speakers both inside the home and on lanai, wired throughout house for future Control4 audio, video and lighting automation expansion. The Master Bed, Living and Dining Rooms include custom pull down shades. This tremendous home is in a perfect gated location, call today!